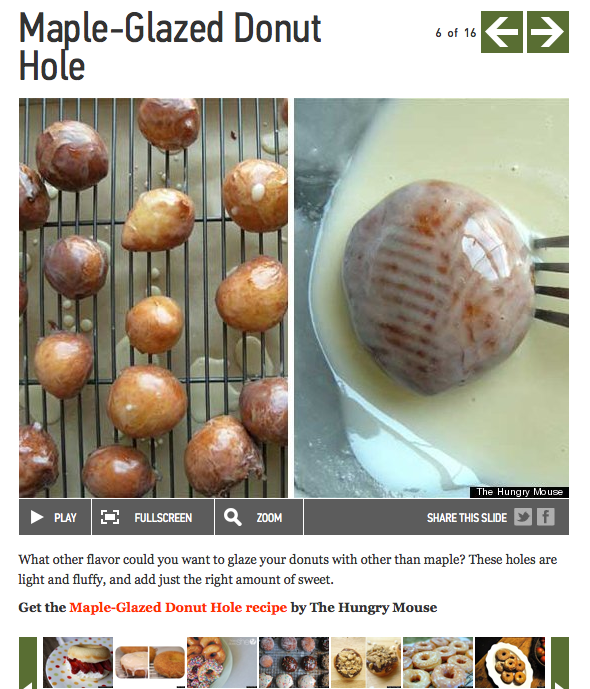 Huge thanks to The Huffington Post for featuring my recipe for Maple Glazed Donut Holes in Donut Recipes: 13 Worth Lusting After. Read the whole article in The Huffington Post here. Feel like making donuts? Get my recipe here. ← My blog was stolen. Find out how I got it back.